Head volleyball coach Juanita Mangan does not teach science at St. Catharine College. But she did conduct an experiment Saturday morning with the student/athletes on her team. And even though the experiment did not net a win in either match played that day, Mangan was pleased with what the future could hold. Every coach will tell you that the won/loss record on the final ledger is what counts in an athletic season. But when St. Catharine College hosts the University of the Cumberlands on Oct. 14 everyone will be a winner, no matter the outcome of the match. After an easy win at Bardstown on Sept. 15, the Washington County Commanderette volleyball team was ready to hit the home hardwood against John Hardin on Sept. 18. The John Hardin team came came into the match riding a five-game losing streak. WC had some momentum from a win over Bardstown three days before, and they were able to beat the Lady Bulldogs 2-1 (25-16, 13-25, 25-23). The St. Catharine College women's soccer team posted a 2-0 win Friday over visiting Spalding University. 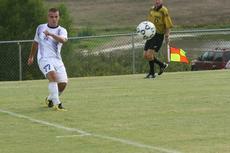 But the SCC men's team couldn't make it a sweep as they dropped a 4-1 decision. The Lady Patriots, 4-3, broke a scoreless tie just six minutes before halftime as Ashley Thompkins took an assist from Megan Metcalf for the goal. It was the seventh goal for Thompkins in the last three games. It didn’t take too long to see who would fire the first shot of the “border war” for 2008. In fact, it only took Marion County 17 seconds to put six points on the board with David Litsey’s opening kickoff return for a touchdown. Washington County never seemed to recover from that point in the game. Marion County defeated WC for the third straight year, winning 17-14 Friday night in Lebanon. 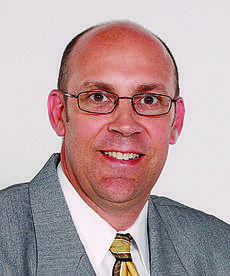 The decision is in and Glen Goatley has been named as the new athletics director at Washington County High School. Goatley takes over for Chad Willis, who accepted a job as director of pupil personnel with the school system earlier this year. Goatley’s position as AD is effective immediately. The Wilderness Trace YMCA held an NFL Pepsi Punt, Pass and Kick competition on Sept. 20 at Washington County High School. The competition provides youngsters a showcase for their punting, passing and kicking skills, with scores based on distance and accuracy. John Riney won the 12-13-year-old category with 239 feet 11 inches. Trae Coulter won the 10-11-year-old division with 202 feet and Michael Chastain took the 8-9-year-old class with 186 feet 3 inches. In bowling, perfection is reached by rolling a 300 game. For a golf foursome, 300 is not exactly perfect – but it is the total Coach Joan Rizer has been looking for the last few years from her men’s golf team at St. Catharine College. The St. Catharine College soccer teams played three games last week and came out victorious in each contest. The women’s team won home games against Midway and Berea while the men traveled to Hillsboro, Ohio and won against Ohio University – Southern. Both the Patriots and the Lady Patriots now stand at 3-3 for the season. The Washington County Commanders hosted the Green County Dragons in WC’s home opener on Friday, losing 50-42 to fall to 1-2 on the season.